Located in one of Castlecrag's most highly sought after streets, this solid 1940's built three (3) bedroom double brick family home is proudly positioned on a 581sqm (approx.) block and represents a rare renovation or redevelopment opportunity not to be missed. Spanning over three levels this home offers plenty of room to move, with the top floor accommodating 3 bedrooms and main bathroom, the entry level has formal lounge & separate living room with bar, gas kitchen and large sundeck with motorised louvered roof, additionally the lower garden level has a gym and sauna area, workshop with 3 phase power, 2nd bathroom, laundry and storage. There is parking for 4 cars in total including a tandem garage and driveway parking for 2 cars. 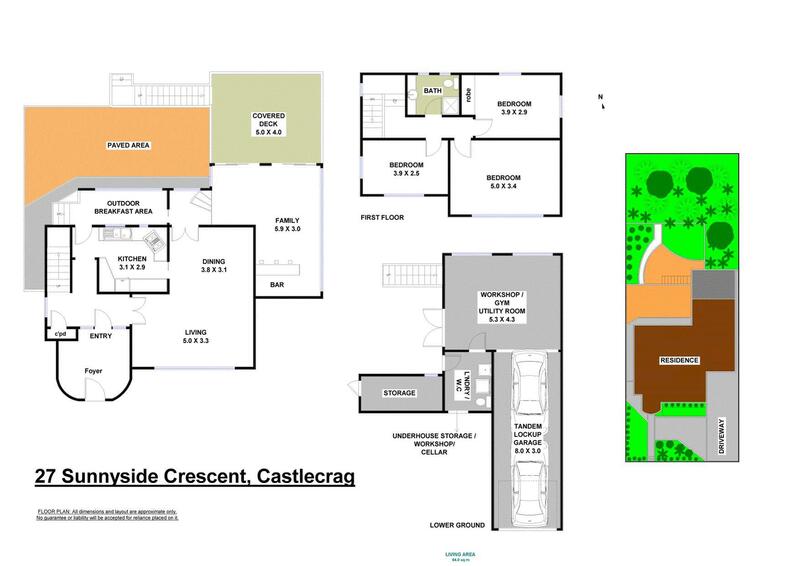 Zoned R2 with a FSR of 0.45:1 and a height restriction of 8.5M, the Willoughby Council guidelines provide potential to design and build a new dwelling up to approx. 261sqm (STCA).